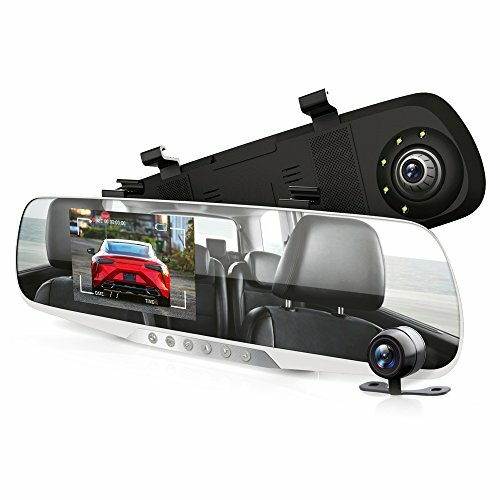 The PLCMDVR46 DVR Rearview Mirror Dash Cam Kit integrates video recording, picture taking and external storage into a multi-function high-resolution digital recorder with HDMI and media output. It is widely used for providing recorded footage for purposes of accident compensation / insurance, but can also be used to record driving for fun and leisure. This product is a blend of wide dynamic digital industry leading camera, no leakage of seconds, seamless circular camera, ultra wide angle shooting, with real-time display playback, mobile detection camera, parking guard technology in one; unique fashion streamline design favored by vast number of consumers.